The situation in Afghanistan now is the worst since the U.S.-led invasion of 2001 and the country is in danger of a "downward spiral" into violence and chaos, according to an intelligence report draft. The nearly completed National Intelligence Estimate, the work of 16 intelligence agencies, says Afghanistan's deterioration has accelerated alarmingly in past two months. Bush administration officials say privately that Afghanistan is now the single most pressing security threat in the fight against terrorism. "We are doing a review to look to see what more we can do," Secretary of State Condoleezza Rice told reporters Thursday. "We are looking to see where some of the strengths are and how we can support those strengths and also how we can help the Afghans when there are weaknesses." A senior U.S. commander with recent experience in Afghanistan characterized the situation as "stagnant" rather than deteriorating. "We're not making progress. And we're not making progress because of a lack of capability in the government and because the Taliban have a safe haven from which to plan, train, and launch attacks into Afghanistan," said the commander, who like others spoke on condition of anonymity because of the sensitive material. A second military commander, who read the draft of the intelligence report, said it warns that action is needed quickly to prevent Afghanistan from heading into the "downward spiral." The secret report is expected to be completed mid-November and some conclusions could change. 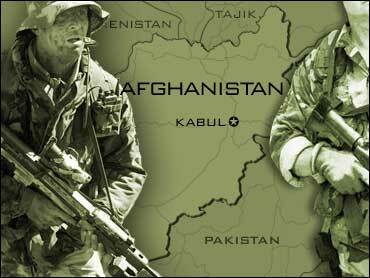 Military figures show that Afghanistan has become far more dangerous for American troops than Iraq. More than twice as many Americans have died in Afghanistan than in Iraq since May, even though there are more than five times the number of U.S. troops in Iraq. The White House has accelerated a review of how to reverse the security slide and shore up Afghan President Hamid Karzai's struggling government. Heading the review is Lt. Gen. Douglas Lute, President Bush's deputy national security adviser for Iraq and Afghanistan. Gen. David Petraeus, fresh from Iraq and tapped to head U.S. Central Command, which oversees both war zones, was in Washington on Thursday to discuss the situation. "They are trying hard not to do anything that boxes in or locks in the next administration," said a military official familiar with the review. "We want to make sure that when we emerge into the next fighting season, the Bush administration has done as much as it can to help." Fighting in Afghanistan abates during the winter snows because of the rough mountain terrain. The administration has announced plans to send 3,500 additional Marines to Afghanistan before year's end and then an Army brigade of about 5,000 soldiers early in 2009. As many as three additional Army brigades could follow in the months after that. Currently the U.S. has 31,000 troops in Afghanistan. There also are 31,000 troops from NATO countries and other allies. In addition to increasing troops strength, the review covers nonmilitary options including possible expansion of the effort to combat the heroin trade, which raises up to $100 million a year for the Taliban, according to the U.S. military. Al Qaeda and the Taliban move freely in the border area of Pakistan, enabled by friendly militant tribes. They are conducting raids into Afghanistan with increasing impunity. Defense Secretary Robert Gates pushed NATO allies at a meeting in Hungary to target the narcotics production to stem the flow of cash. The draft national intelligence estimate also blames waning Afghan support for Karzai's government on corruption, a military official said. He said the corruption primarily involves bribery, rather than government cooperation with the Taliban.